On International Talk Like A Pirate Day it was fitting that the brilliant Mt. 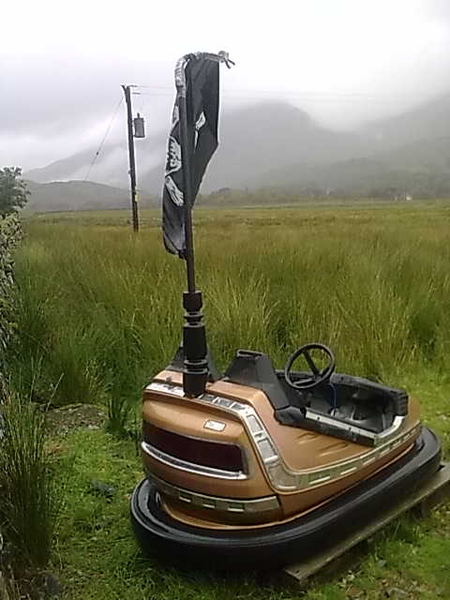 Desolation gig at Nick Harper and Mary Ann Kennedy's Watercolour Studios in Ardgour should be identified by an old dodgem car flying the Jolly Roger. Arr me hearties, walk the plank and avast behind...scream if you wanna go faster!